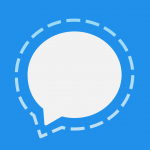 wolfSSL now supports Open Whisper Systems Signal Protocol C Library! This means that you can now develop Signal applications using wolfCrypt as the underlying cryptography provider. By design, the Signal Protocol C Library does not depend on any SSL/TLS or cryptography library. Instead, Signal allows the application to register a crypto provider at runtime. We recently ported the wolfCrypt cryptography library into the “libsignal-protocol-c” test code and added a CMake configuration to build the libsignal-protocol-c test programs using cryptography from wolfSSL. With this build option and wolfCrypt integration, Signal application developers can choose to use cryptography from wolfSSL instead of OpenSSL. Thanks to wolfSSL’s small footprint size, low memory usage, and broad platform support, application developers can more easily use the Signal Protocol C Library on small resource-constrained platforms and embedded systems. For more information on using wolfCrypt with Signal, contact us at facts@wolfssl.com!